mentors to ex-offenders, ensuring success. Need someone for a pancake breakfast, a banquet, Sunday morning, or any event interested in jail and prison ministry or mentoring? Please contact us. Fresh Start gives free training at churches and provides the simple paperwork for the required screening that we forward to the proper agency. If you need a mentor, contact us. The safety of our mentors and the perceived need of mentoring by our client is upmost in our criteria. Fresh Start coaches people through probation by providing Christian mentors. First Century Christians set themselves apart by ministering to the sick and dying who were thrown outside the city walls to suffer on their own. Today, Fresh Start mentors minister to probationers, people often left on their own to perish spiritually, financially and socially. We are made up of jail chaplains, probation officials, judges, pastors, and ordinary Christians--that is, church and state working together. Fresh Start’s specialized mentorship programs are designed to meet the specific needs of the client. 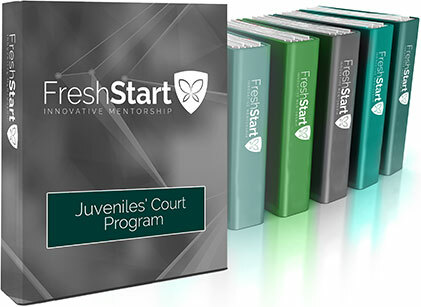 "Fresh Start mentors juveniles returning from sentenced programs to help them re-enter their community, and we mentor at-risk youth not yet arrested or sentenced to help them stay out of the system." JDC: "Fresh Start mentors male and female juveniles on a weekly basis in Clearwater at the Juvenile Detention Center." Fresh Start gives free training (see our calendar) at churches and provides the simple paperwork for the required screening that we forward to the proper agency. If interested, send us an email with your name and contact information to freshstartreferral@gmail.com so that we may advise you of how to get training. Initial training is informational only, and you are not committed to mentor. After the training session, if still interested in mentoring, a book on coaching will be given you and some light background information collected. After finishing the book, you are ready for mentoring. As best as possible, we strive to match mentors with clients that seem most compatible. ©2016 Fresh Start Ministries & Mentoring Inc. All Rights Reserved.